Starting Fresh…3Ps Diet…Setting one goal with PASSION! This run looks amazing! 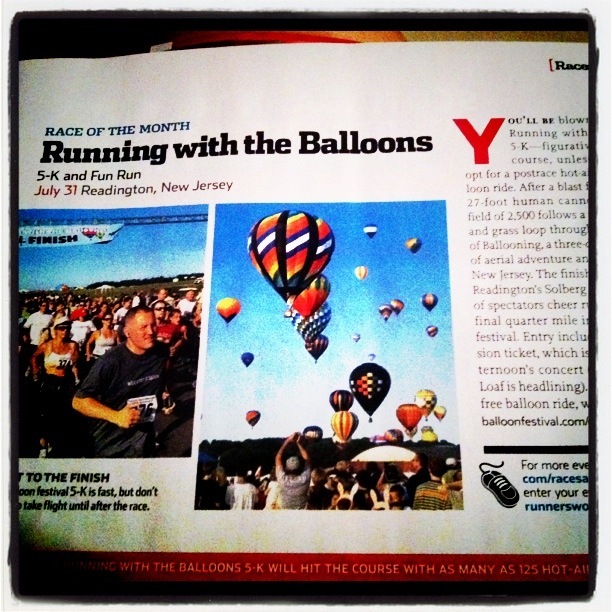 I have always loved hot air balloons…not New Jeresy(sorry), but 5Ks for me are now actually a fun run…Something I can get Passionate about with ease! But let’s not just go through the motions of a positive list…LET’S Really LIVE IT UP!!! !With PASSION>>>PATIENCE>>>AND PERSEVERANCE…the 3 Ps. So, just like all lists and ME it is a work in progress! I find as I age it is easy to think there isn’t time for Passion(PLAY)…hog wash!!! Passion is an essential part of JOY! SO if ya have not gotten enough out of your past summers this diet is for you! Start that list today and let it grow all week as we pledge to live the 3Ps starting with passion! ← A Day to Celebrate Dad and still Keep Skinny!